European style dark chocolate wedges that contain the coveted 70% cacao. 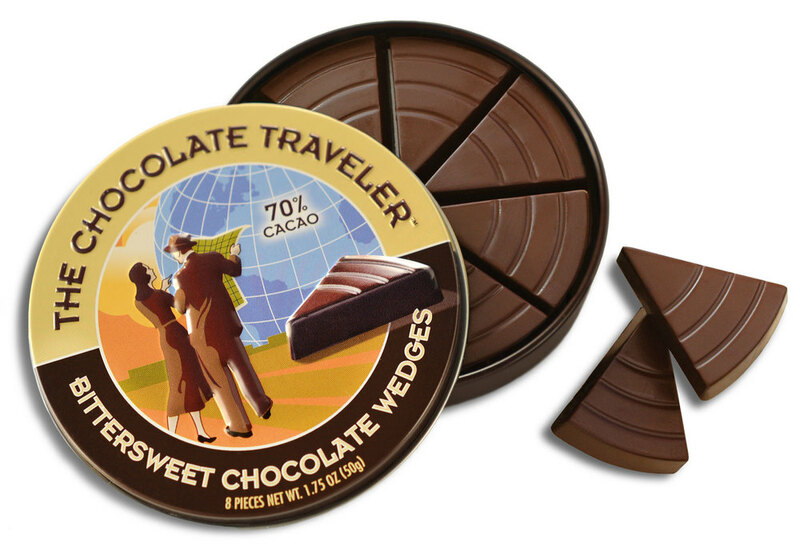 Each collectible travel tin comes with 8 precut, portion controlled wedges. At 35 calories a wedge, go ahead and indulge in the delight of rich velvety dark chocolate. The portable tins are great for gifts, traveling, or hiding in your favorite spots at home or the office so you can have them all to yourself (however it's nice to share once in a while). European style 70% Bittersweet Chocolate in single size tins containing 8 delicious wedges.